This suave mauve from Down Under is difficult to describe and easy to love! 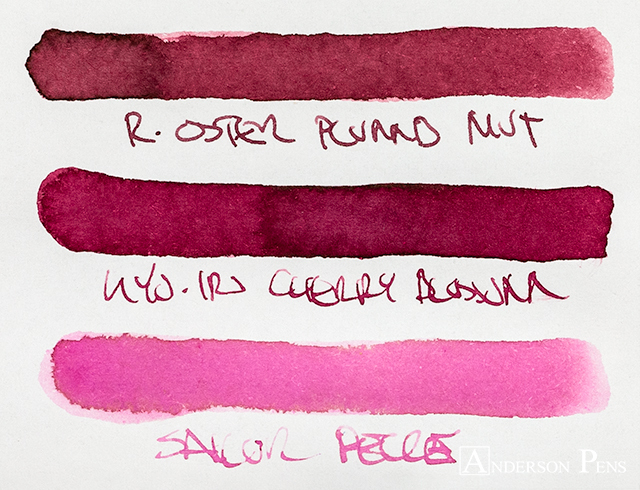 Robert Oster is an employee favorite here at Anderson Pens. 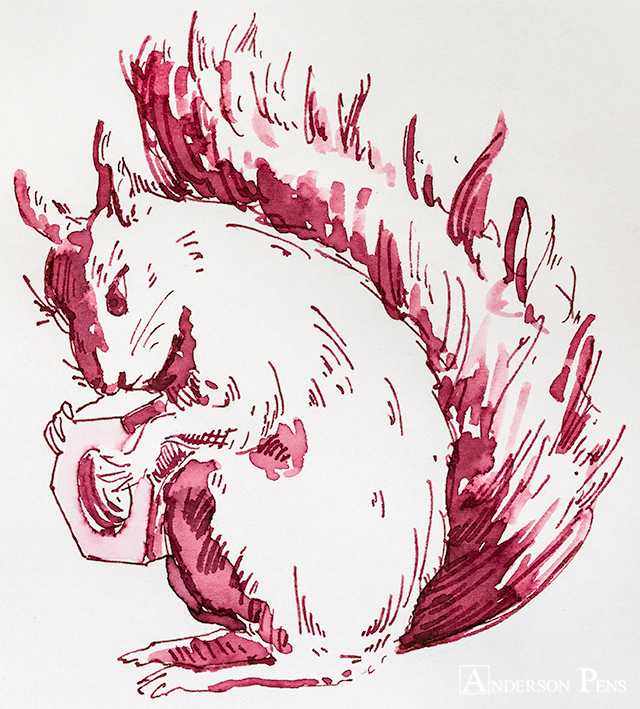 With a huge assortment of ink, there’s a color for everyone. Plumb Nut is a mauve coral pink that is a unique and pleasant color. Robert Oster ink comes in a 50ml round and tall plastic bottle. A label on the cap is hand-swabbed, allowing you to easily see which color is inside. 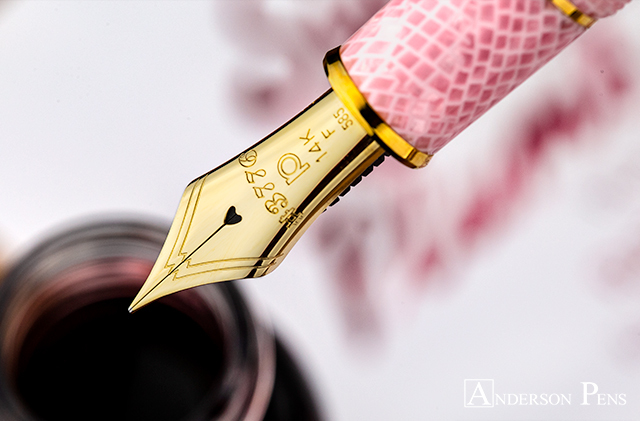 This review was done with a Pilot Prera F, Platinum 3776 B and on Rhodia blank No.18 paper. 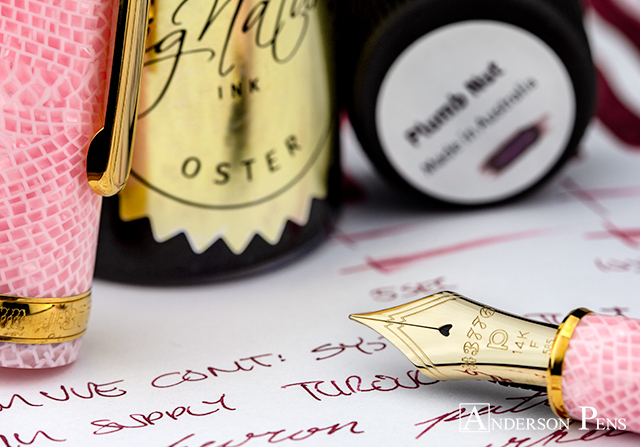 Plumb Nut is a high-shading ink, and has a similar appearance in a fine and broad nib. 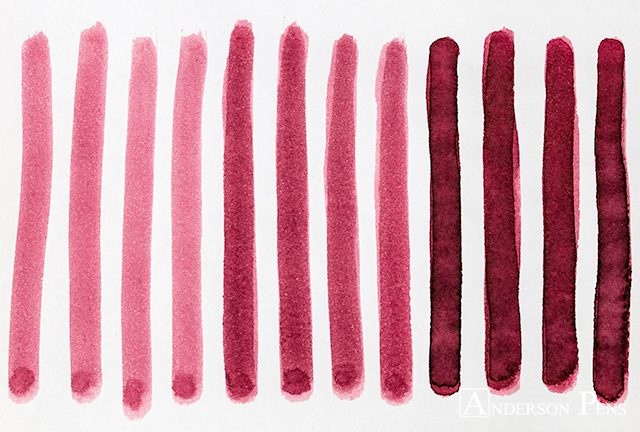 The ink has a general mauve appearance, but it’s hard to put your finger on the color. 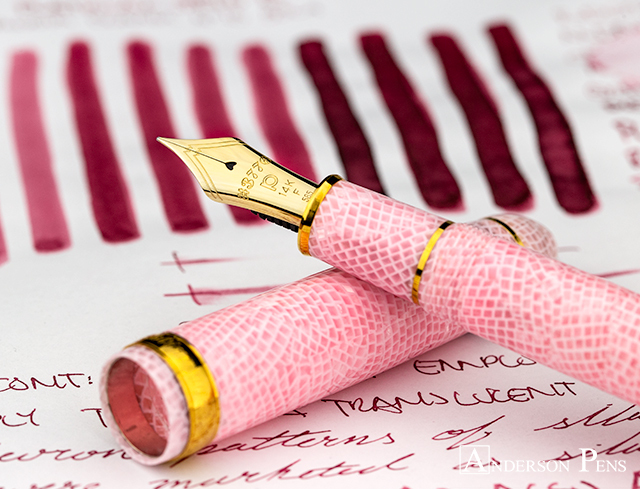 At its lightest, the ink is a light rose pink. From there, it shades to a rouge salmon color. The darkest the ink gets is a rich rosewood color. The ink is very matte, and didn’t display any sheen. 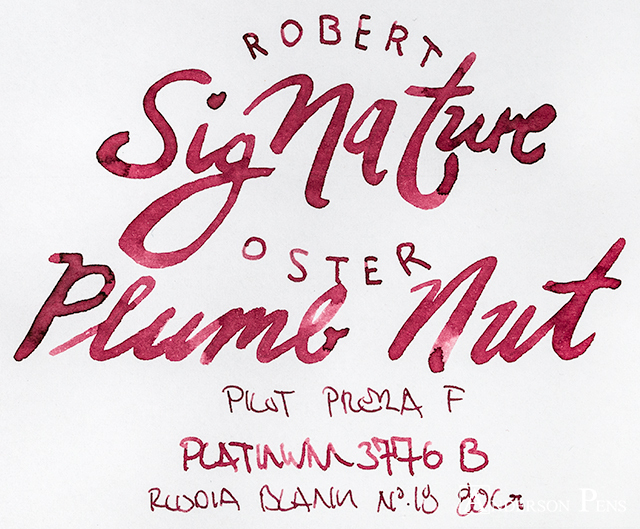 Robert Oster inks almost always perform well, and Plumb Nut is no exception. The ink had good flow with no feathering or bleedthrough. 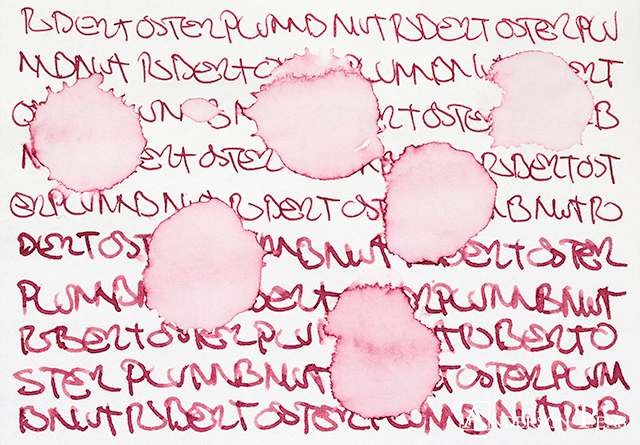 Plumb Nut is a low saturation ink with good dry times at 15-25 seconds. While the ink didn’t have any water resistance, clean up was easy. 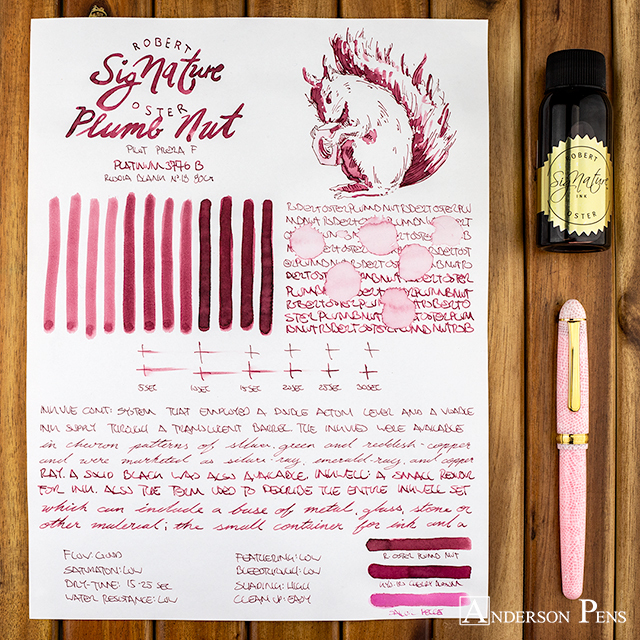 I didn’t think I would like a pink ink as much as I liked Plumb Nut. It is an intriguing color that is easy on the eyes – and easily legible. While it isn’t appropriate for all workplaces, it’s a nice color for all your other writing needs. This entry was posted in Ink, Ink Reviews, thINKthursday and tagged ink, ink review, Robert Oster, thINKthursday. Bookmark the permalink.